I will be honest, my faith is still growing, still changing, still learning. I am not sure where you are at with your faith, what you believe in or what you don't. I will tell you that I do believe in God, trust him, and use him as guide. This picture is from the other day. Sometimes I find that I just need a reminder...a reminder to pause. Just taking that pause can change so much. But the other day, I needed more. 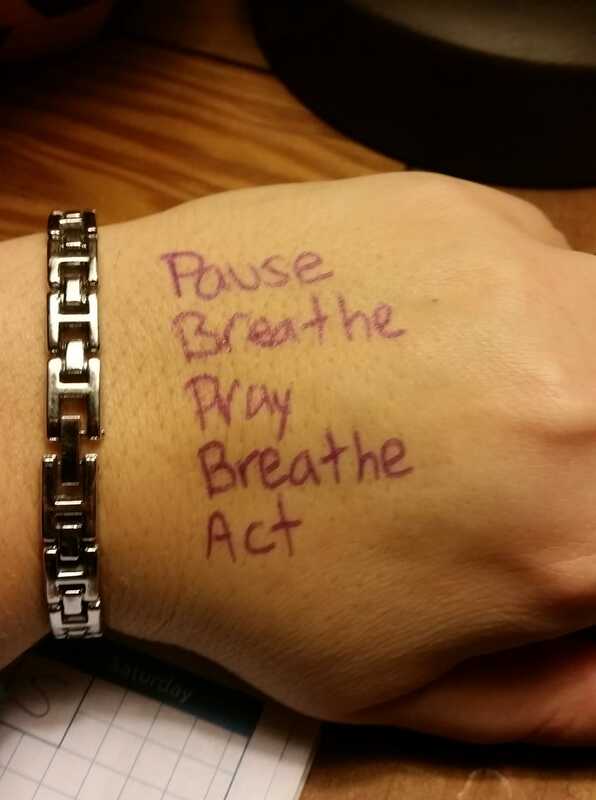 I needed a reminder to pause, breathe, pray, breathe, act. This was what I needed to write on my hand a week and half ago. It was after BSF on Thursday where we talked about pause and pray. I added in the other parts because it was something that I needed. I forget at times to put God first, throughout the day. 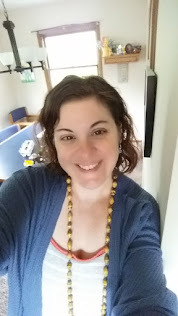 I take time in the morning to pray and to do devotions, I take time sometime during the day to think about the things I am grateful (which lately is as I fall asleep), and yet I sometimes forget to pause, forget to breathe, forget to pray. I am working towards being receptive verses reactive in the moment. Separating other's emotions in the moment from mine. If I remember to pause it helps. But I, more often than not, could and need to take it a little deeper. Breathe, pray, and move forward. It takes time. It takes practice. It takes reminders. And sometimes those reminders come from others, sometimes through what I read, and other times I just flat out need to write in on my hand to take it with me for the day. Even if you don't pray, you can still pause and breathe or pause, breathe and act. What is something you need a reminder of today? Do you need to remember to pause?